Your wardrobe is crammed with clothes but you've got nothing to wear. Sound familiar? Let us introduce you to The Lady's Maid. A modern-day Mary Poppins of fashion, she knows what to wear, how to wear it and how to make do and mend with minimal fuss and lashings of style to ensure you and your clothes always look their fabulous best. 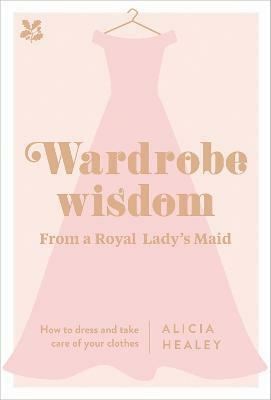 Alicia Healey trained at Buckingham Palace before travelling the world working as a lady's maid and wardrobe consultant for high-profile clients including a Middle Eastern Royal family. She'll help you to declutter your closet, turn clothing chaos into calm and build a capsule wardrobe for every season with timeless, versatile garments. For every special occasion, she's got your back: whether it's a job interview, a wedding, a day at the races or even meeting royalty. Let The Lady's Maid help you take the stress out of dressing, pack like a pro, deal with every kind of clothing crisis, and defeat the dreaded moth. Alicia Healey has an MA in Art History from the University of St Andrews. She spent four years working for the Royal Household based at Buckingham Palace before travelling the world as a Lady's Maid, PA and Wardrobe Consultant, visiting locations including Riyadh, Japan, Bali and the USA.